It is the Dundee institution that has hosted actors ranging from Richard Todd to Lynn Redgrave and Brian Cox to Geoffrey Hayes from Rainbow. 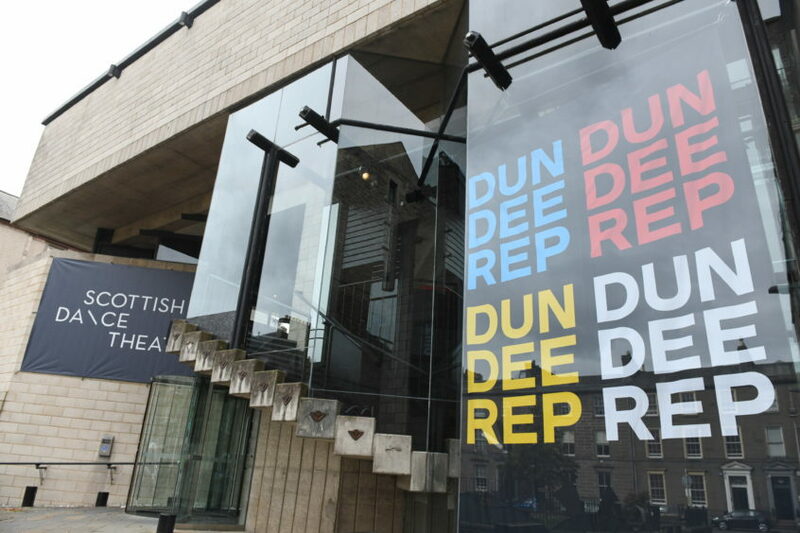 But as Dundee Rep celebrates three important milestones in 2019 – 10 years of its Enterprise @ The Rep work experience programme, 20 years of the Dundee Rep Ensemble, and 80 years of Dundee Rep Theatre itself – it is putting the people who visit the theatre at the heart of its triple-birthday celebrations. Maybe the memories date from the time before 1982 when the Rep was based at Lochee Road? Perhaps you’ve been coming to see the Christmas show since you were little? Were you part of a youth group or community company at the theatre? Whatever your connection, whatever your memories, the Rep would love to hear them! One woman incredibly excited about the anniversary year and the sharing of memories is Amanda Lowson, community health and wellbeing associate at Dundee Rep.
She has been in her current job for 20 years. However, she worked for the community dance team before that and speaks passionately about the role Dundee Rep plays as a ‘peoples’ theatre’ at the heart of the community. 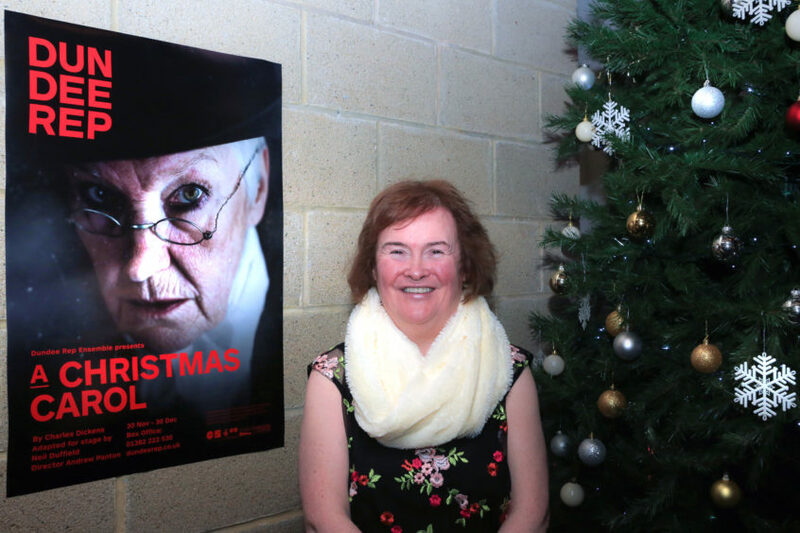 “Basically I walked through the doors in 1983 as a teenager and never left,” said the former Whitfield High School pupil who “got hooked” after her drama teacher Sheila Alan introduced her to a youth theatre scheme at the Rep in S2, going on to study theatre arts at Dundee College. “There was a bit of ‘eh dinnae ken whit ye want tae dae that fir!’ from some members of my family at the time,” she laughed. “But I just loved the buzz. For us kids that didn’t really achieve academically, drama was the outlet for us, and I knew there and then that drama was what I wanted to do with my life. 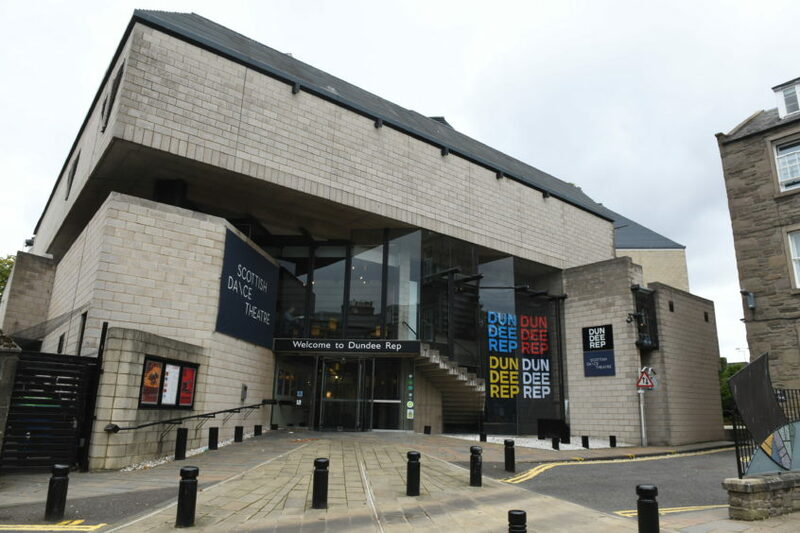 The history of theatre in Dundee dates back over 200 years, with the Dundee Repertory Theatre born in 1939 to fill the gap left by the early 20th century cinema boom. However, until visiting the Rep in its then recently opened Tay Square building in 1983, Amanda’s perception of the Rep as a girl growing up in Whitfield had been “that was where the posh people went”. 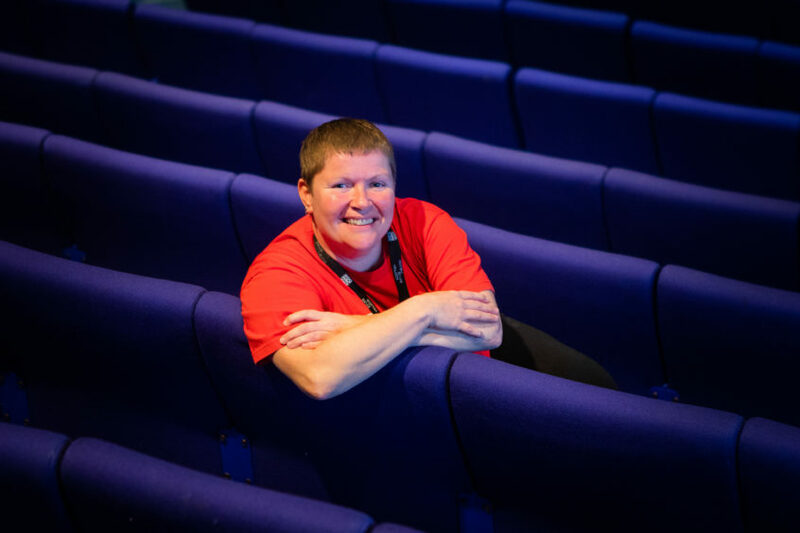 That view changed overnight thanks to her youth theatre experience and in her Rep role since, she has taken great pride in connecting the theatre with children and others from Dundee’s deprived communities – recognising her younger self in some of those who have taken part. “My role has kind of evolved,” she said. “When I first started 20 years ago in this job, my job was engaging children and young people, and adults, from deprived communities. “I had a youth theatre out in Whitfield, I had a youth theatre in Kirkton, I had a youth theatre in Ardler. “I suppose that’s a really important thing to me because I really believed in these people getting the opportunities to get involved. “Today, with community still in my title, my role has widened out. I do a lot of work now with people with learning disabilities, people living with health inequalities – it’s theatre for well-being really. 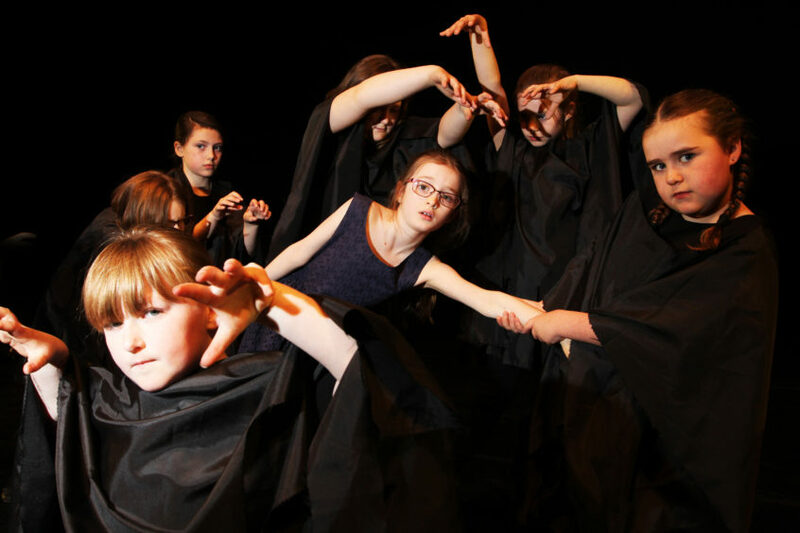 Dundee Rep Theatre welcomed over 250 primary pupils and their teachers to the Rep as they staged nine original devised performances. Amanda said there had been numerous success stories over the years ranging from former youth theatre stalwart Nate Lamb who now works on the technical side of Rep shows to others who have gone on to further their studies at the Royal Conservatoire. She has been delighted to see the community side of the Rep grow. However, in this special anniversary year, she still feels the Rep needs to “shout a bit more” about the work it does. Rep staff were celebrating in 2016 after learning the building was in the running for a modern architecture prize, as nation’s best 20th century building. 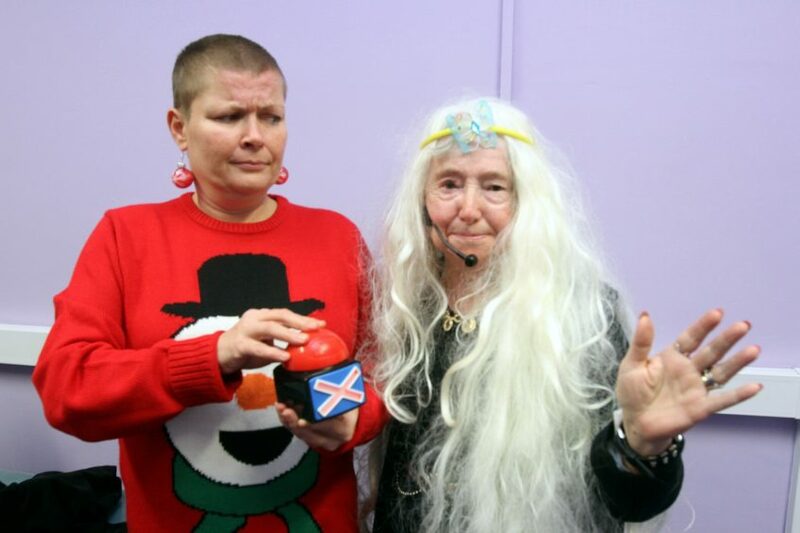 She added: “I was talking to the Pecha Kucha event in Dundee last February about the work I do. “A lot of people are not aware of all the things that happen in this building. “Last week the Whitfield Camera Club did a tour round the building. They’d never even been in before. I took them in all the wee nooks and crannies. Amanda said the anniversaries were all about a celebration of how long and how sustainable the Rep was, and how it continues to grow. She hoped as many people as possible would get in touch to share their memories. “It’ll be really interesting to hear what we have coming from the event on Saturday,” she said. “The wee quirky tales. Maybe it’ll be ‘Eh remember when that famous woman on Absolutely Fabulous – Joanna Lumley – when she used to be at the bar with her glass of wine. “It’ll be really interesting to see the type of people that will come along. 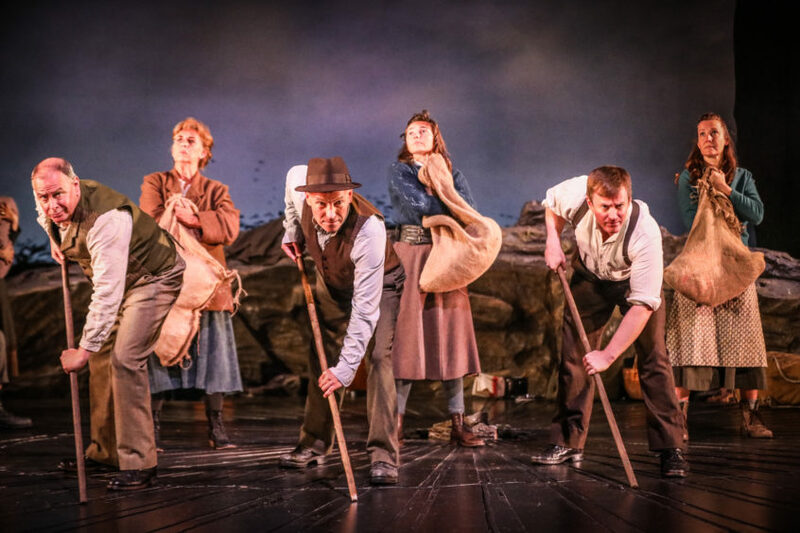 “Will it be the old kind of regular theatre goers, or will it be someone who just came along and saw The Mill Lavvies and they’ve been to see once and remember it? Dundee Repertory Theatre was founded in 1939 at a time when many of the old theatres in the city had converted into cinemas. A collaboration between professionals with amateur support, it was born when Robert Thornely, manager of the last touring company to perform in Dundee, approached the Dundee Dramatic Society who had been looking for a place to perform and had bought an old jute mill. Housed initially in Forester’s Hall in Nicoll Street/Rattray Street, the company performed weekly repertory during the war. When a fire completely destroyed the building in 1963, a nomadic existence followed before refuge was found in the converted former Dudhope Church on the Lochee Road of Dundee for a further 18 years. 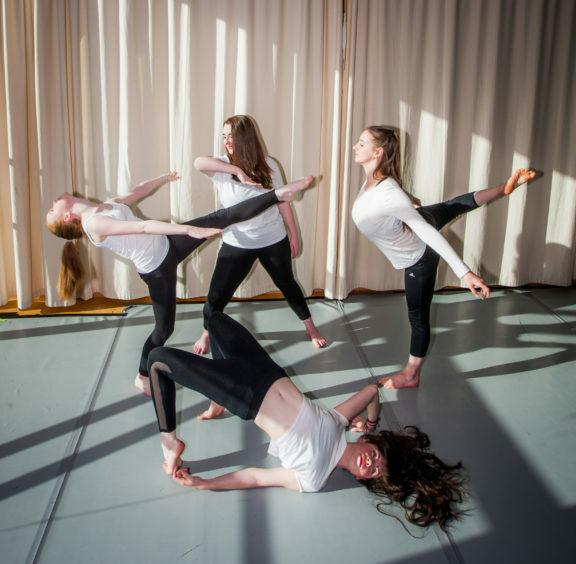 Negotiations with then Dundee District Council and the Scottish Arts Council saw the decision taken for the company to have its own purpose-built premises on land donated by Dundee University. After various funding challenges were overcome including £200,000 raised in a public appeal, the new theatre at Tay Square opened on April 8 1982, designed by Dundee-based architects Nicoll Russell Studios. With a 455-seater auditorium, and regarded as one of the best stages in Scotland in terms of its relationship with its audience, it received a civic commendation from The Civic Trust Award in 1984 and in 1986 won the RIBA Architecture Award. Further expansion took place in the 1990s and, in September 1999, it opened its doors to a permanent company of actors. Dundee Rep Ensemble highlights in the years that followed included a pioneering tour of Iran with Shakespeare’s The Winter’s Tale and, in 2007, creation of Sunshine on Leith featuring the music of The Proclaimers. 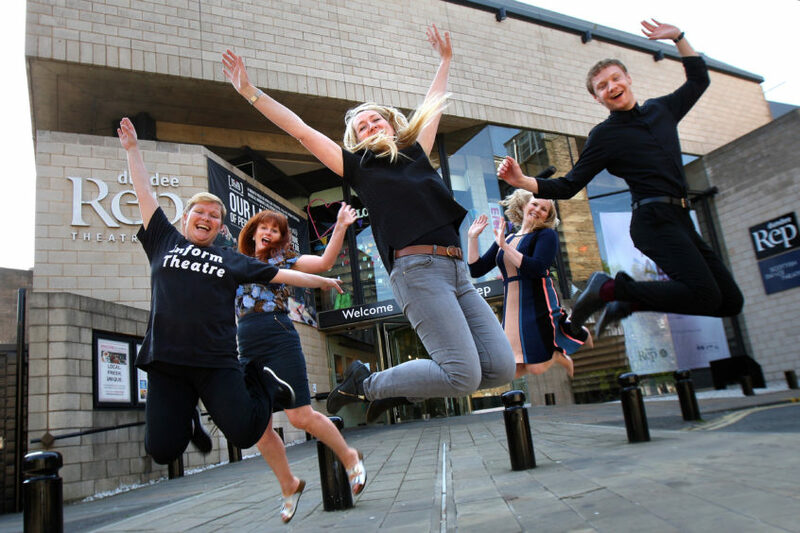 Today, Dundee Rep and Scottish Dance Theatre sit at the cultural heart of Scotland and Dundee. The company looks outwards, and aims to produce dance and theatre of national and international significance, for and with a diverse audience. 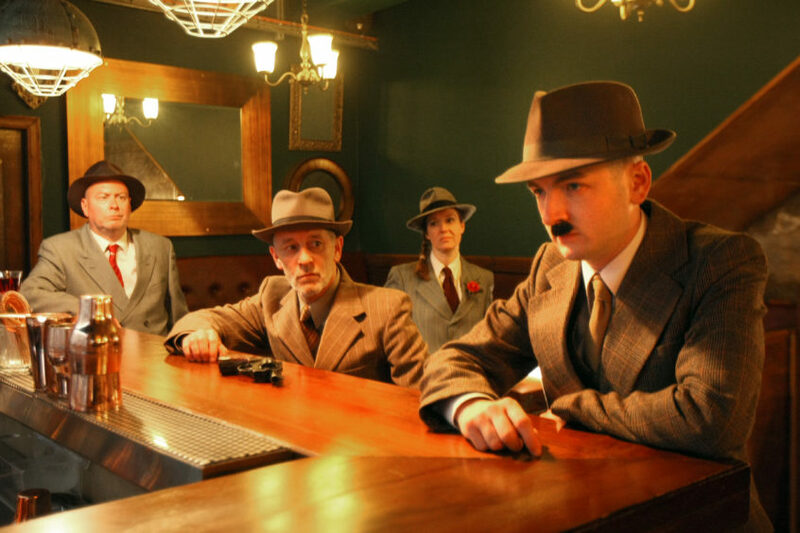 The Ensemble has created a number of award-winning productions, establishing a reputation as one of the UK’s foremost theatre companies. 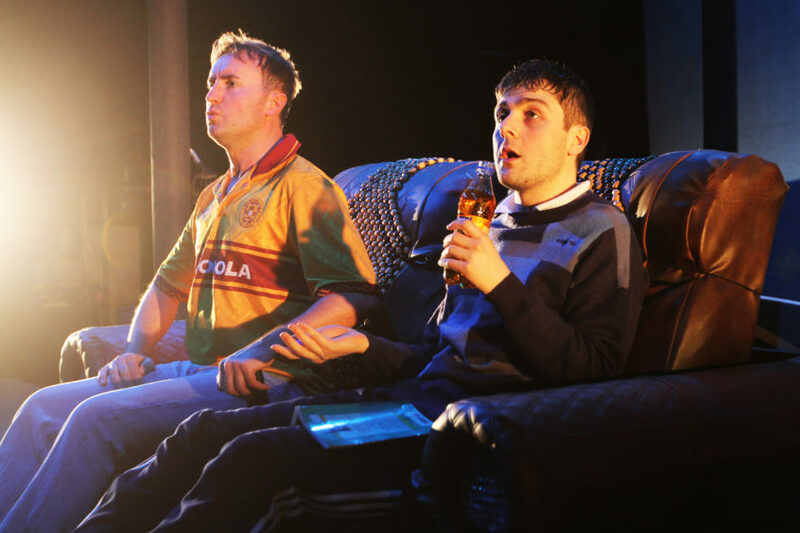 The Rep has developed co-productions with some of the UK’s other leading producers including the Barbican, the Young Vic, National Theatre of Scotland, Royal Lyceum Theatre, Edinburgh, Traverse Theatre Company, Paines Plough, Birmingham Rep and the Tron Theatre, performing in all of Scotland’s major venues. 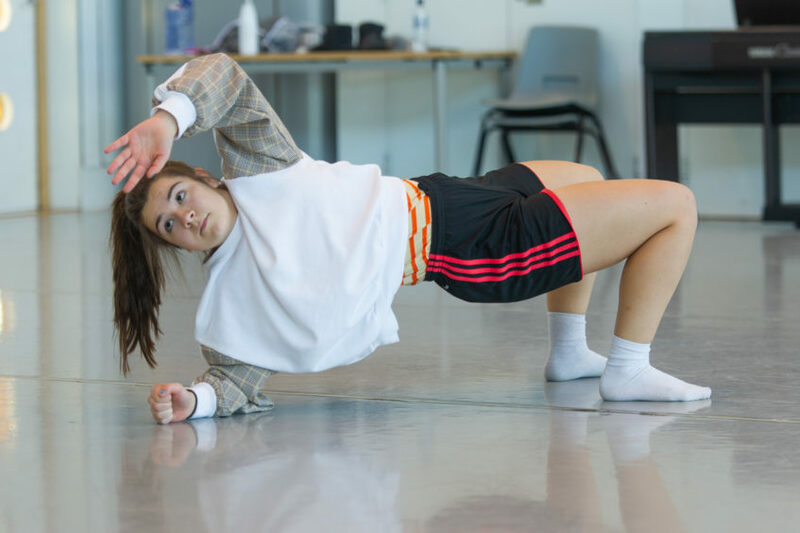 At the heart of the Dundee Rep and Scottish Dance Theatre vision is the belief that artistic and creative experience of the highest quality should be open and available to all.